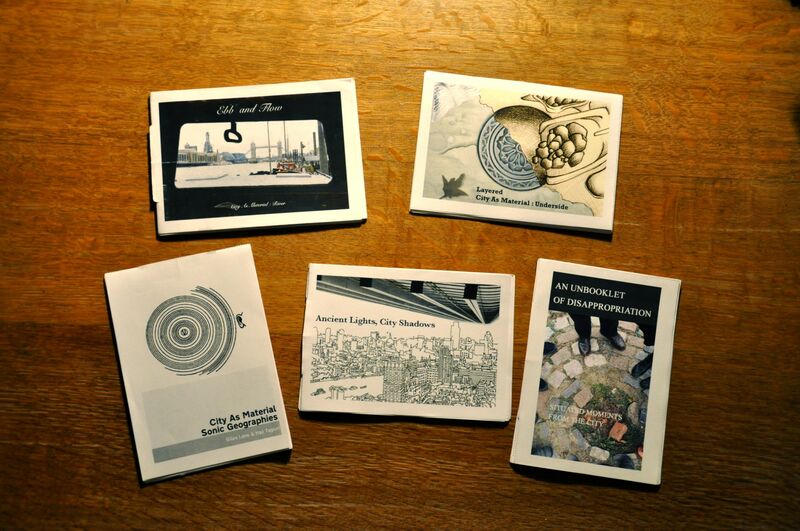 Reflecting back on the 5 City As Material events of last Autumn, we’re really pleased both with the reception of the events themselves by participants and that of the resulting publications with friends and colleagues. Over the next few weeks we’ll be publishing the personal contributions of the guests (Tim Wright, Ben Eastop and Simon Pope – Alex Deschamps-Sonsino’s is already available) and an overview eBook of our own. And we will print a special limited slipcase edition of all 10 eBooks using bookleteer’s PPOD service and launch them in the Spring. This year we hope to take our Pitch in & Publish series of City As Material events outside of London to other towns and cities in the UK (or abroad). We’d love to hear from people or organisations interested in commissioning us to devise and run a one-day (or possibly longer) collaborative urban exploration and publishing event in their own town or city. We’ll work with the local hosts to devise a topic, plan the exploration route and design customised notebooks. At the end of each walk we’ll need a space (with WiFi access and ideally a printer) to sit down with the participants as a group and work on planning/drafting the collaborative eBook that will be the record of the day. As before we’ll be using a range of online and social media to post up photos, audio, video etc taken during each event by all taking part – and we’ll be encouraging all the participants to sign up with bookleteer to create their own personal eBooks (and/or StoryCubes). Please get in touch with us to plan an event in your town or city. Our basic fee for each event (payable by the host) will be £600 + VAT and travel expenses (and accommodation where needed). This fee covers pre-planning, facilitation by 2 members of Proboscis on the day and post-event coordination of the collaborative eBook (+ publication on diffusion.org.uk), as well as printing of a limited edition run (50 copies) of the eBook. Local hosts will be responsible for recruiting the participants to each event. Proboscis will also help promote each event across our own networks to engage as broad a group of participants as possible.